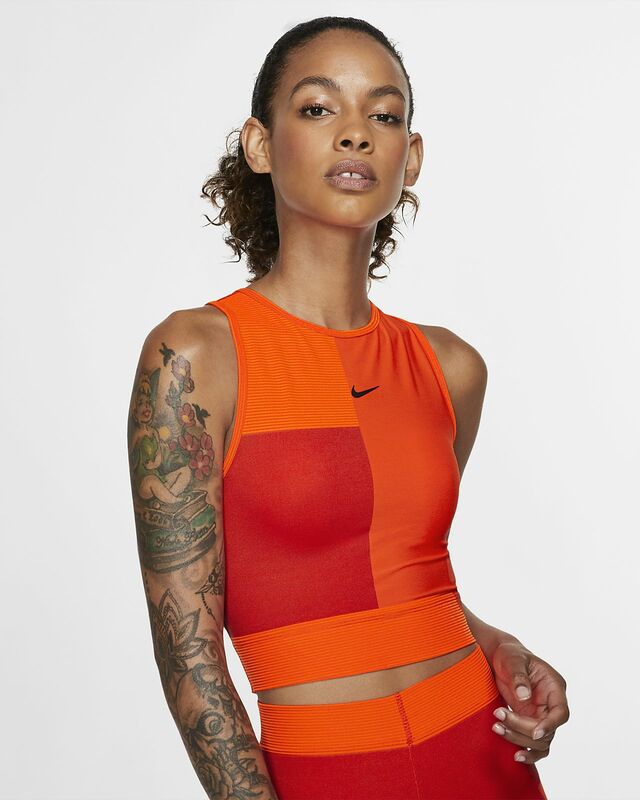 The Nike Pro HyperCool Tech Pack Tank delivers sweat-wicking power in a cropped silhouette that's ideal for layering. Its slim fit and wide racerback let you move freely through your workout, and an open-back design delivers stylish breathability. CROPPED, COOL AND MADE TO MOVE. The Nike Pro HyperCool Tech Pack Tank delivers sweat-wicking power in a cropped silhouette that&apos;s ideal for layering. Its slim fit and wide racerback let you move freely through your workout, and an open-back design delivers stylish breathability. Designed for high-intensity movements in or outside of the gym and studio. Wide racerback enhances coverage and lets you move freely. Cropped silhouette is ideal for layering. Have your say. Be the first to review the Nike Pro HyperCool Tech Pack.